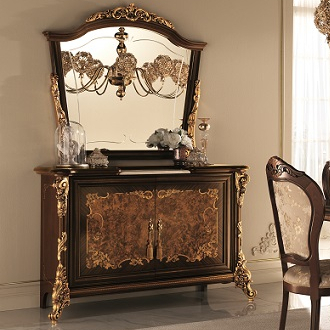 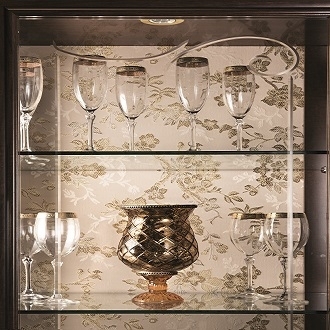 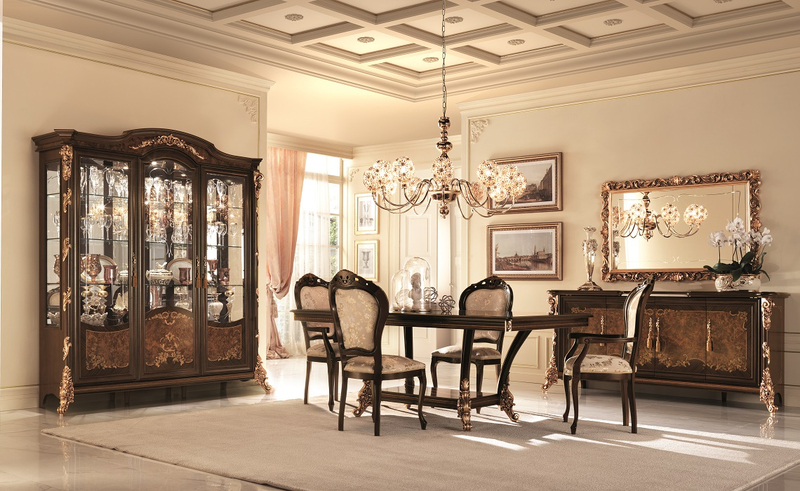 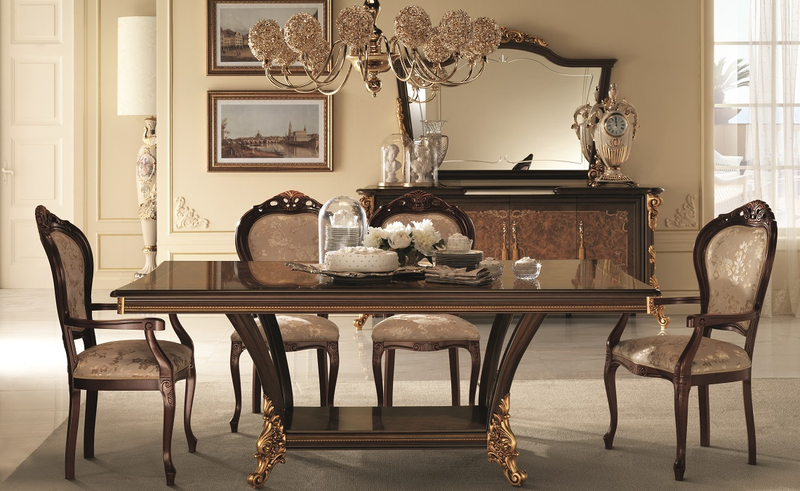 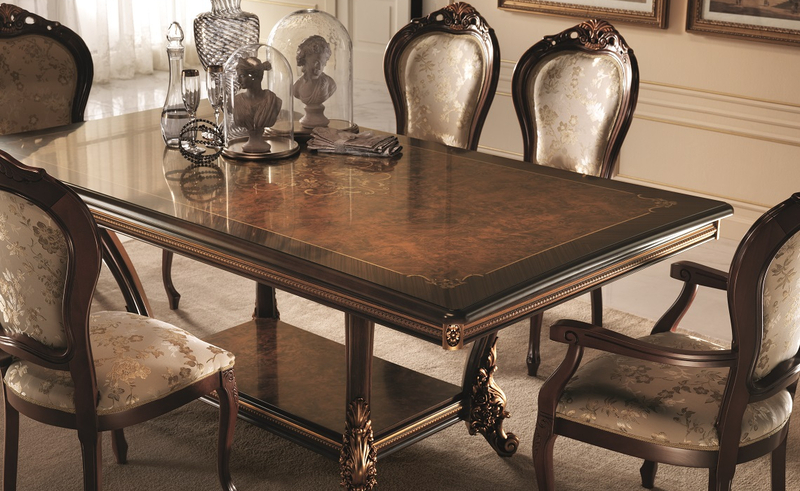 The Sinfonia collection dining room is imbued with an elegant dynamism. 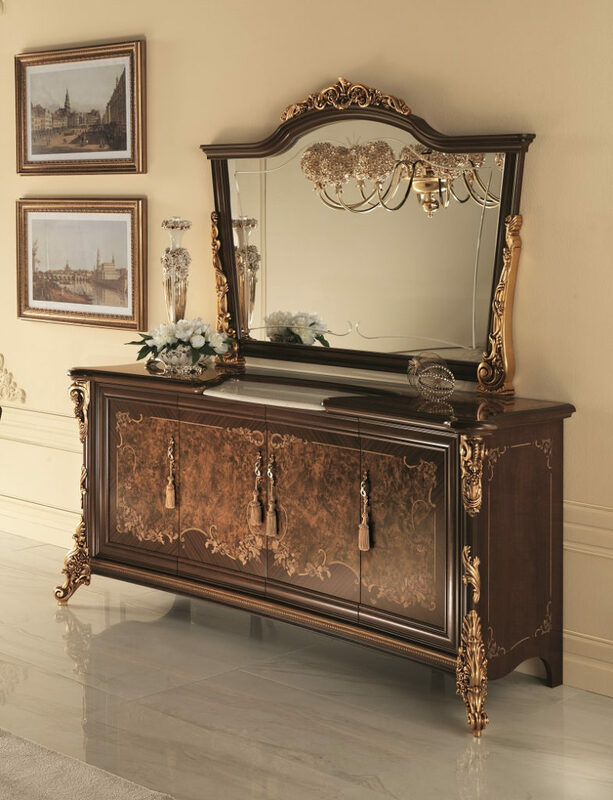 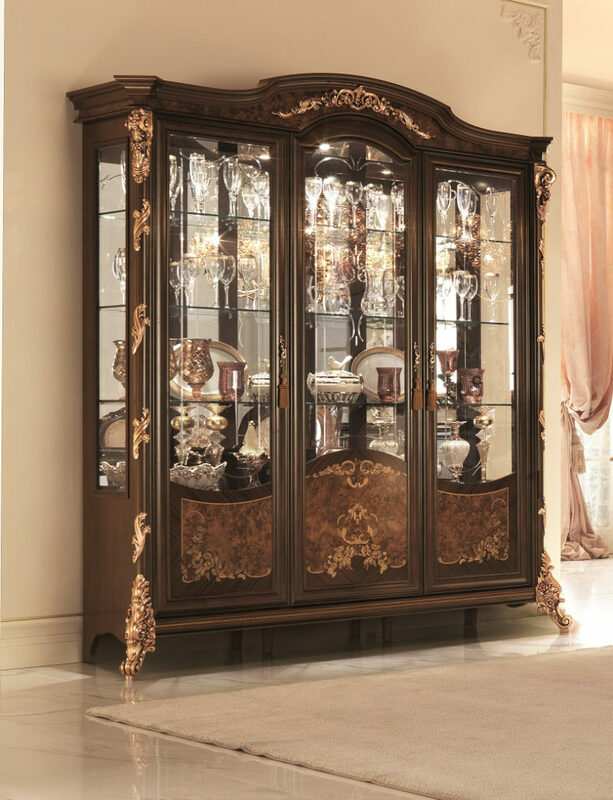 Every furnishing item is a creation designed to express the value of Italian classic design culminating decoratively with the Baroque. 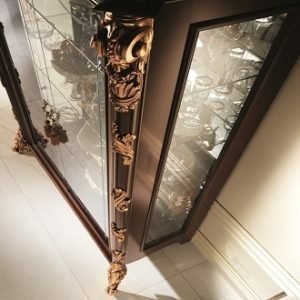 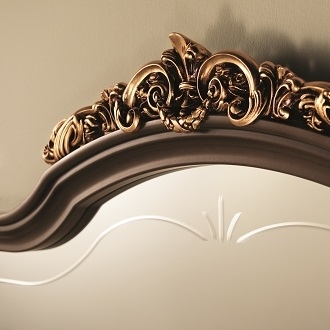 In a homage to the theatrical fusion of seventeenth century form and colour, the golden age of Italian decorative tradition, the table supports, mirror mouldings and complementary doors are embellished with floral gilding and sinuous volutes. 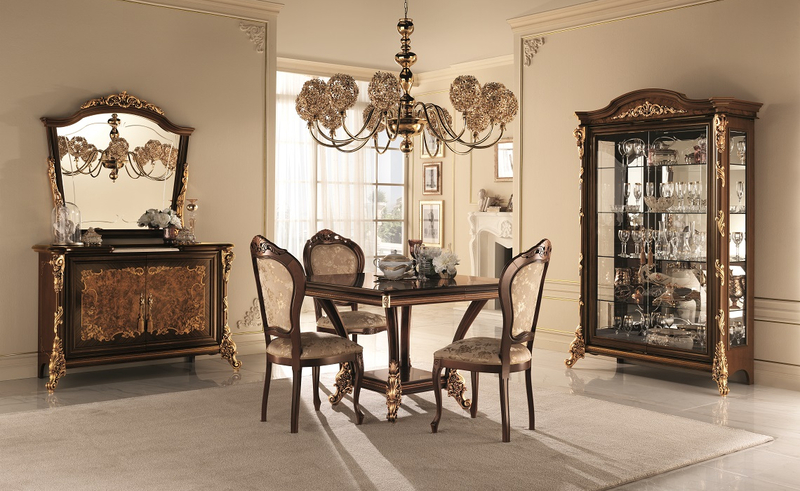 Timeless class style.